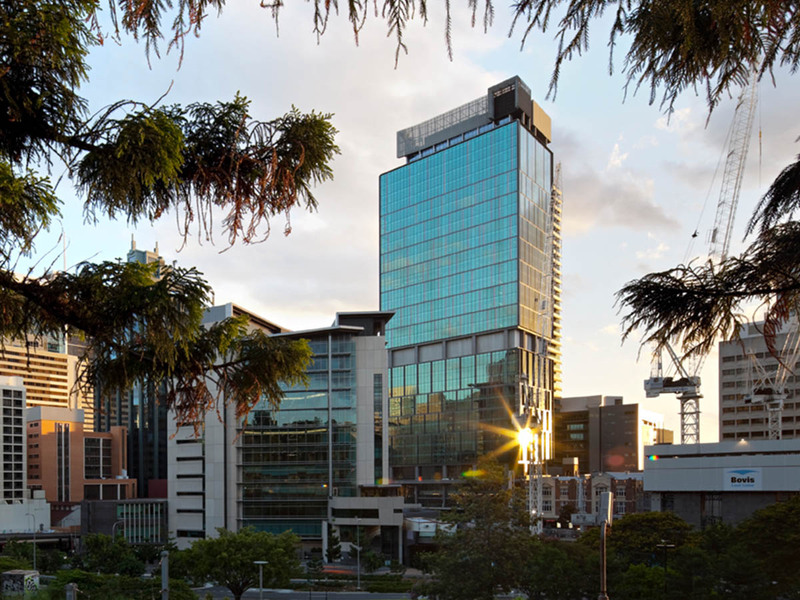 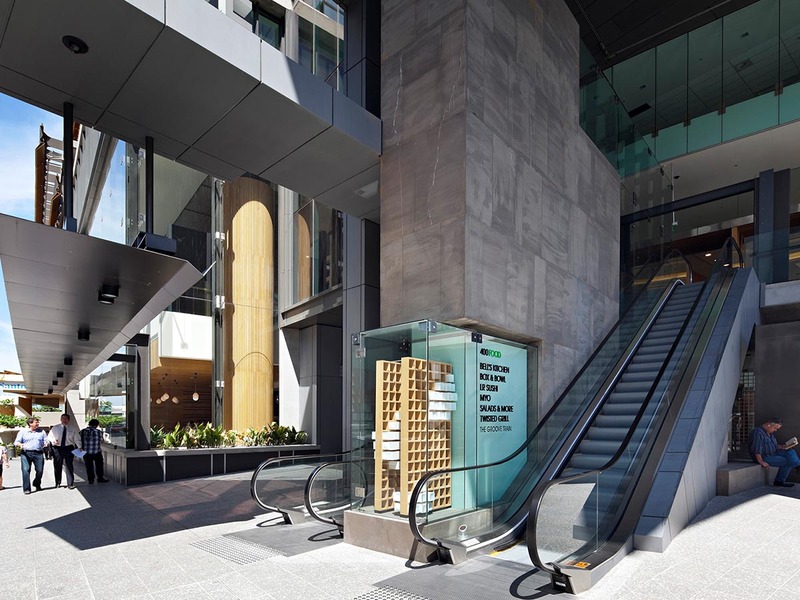 400 George Street sits opposite the Brisbane Magistrates Court, also designed by Cox Architecture Pty Limited t/a Cox Rayner, and has a reciprocal architectural relationship of forms, materials and art installations. 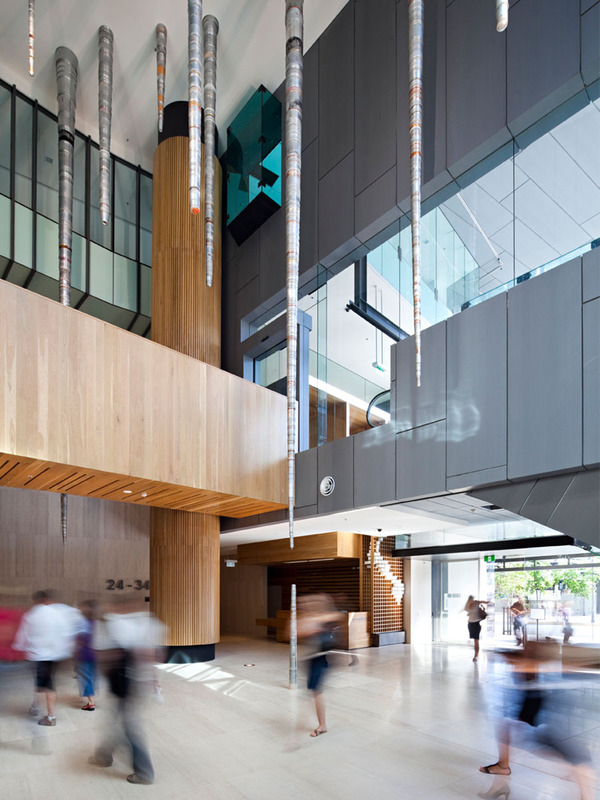 The main installation here is the occupation of the tall foyer volume by ‘stalactites’ and ‘stalagmites’ made from 3,000 found kitchen utensils, a work by Brisbane artist Donna Marcus. 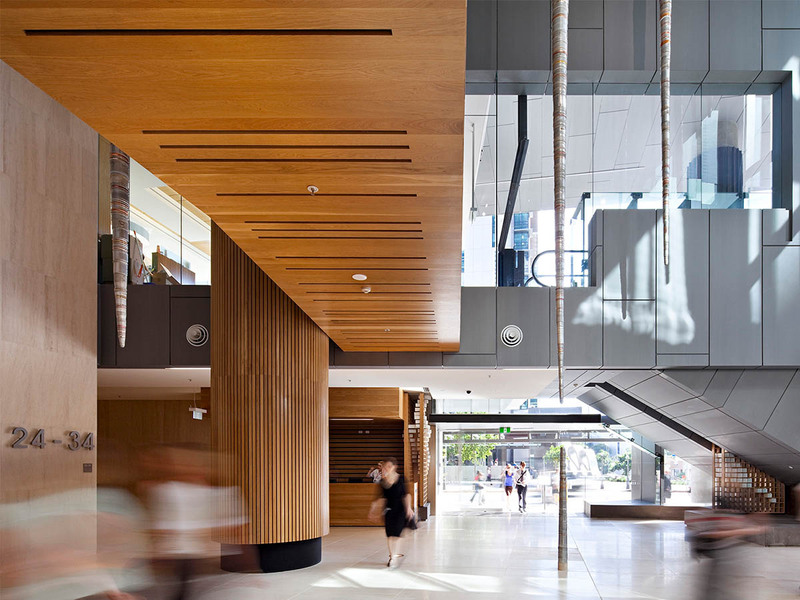 The intent was to render the foyer as a public rather than corporate space, and it is activated by a restaurant, food court, gymnasium and child care centre. 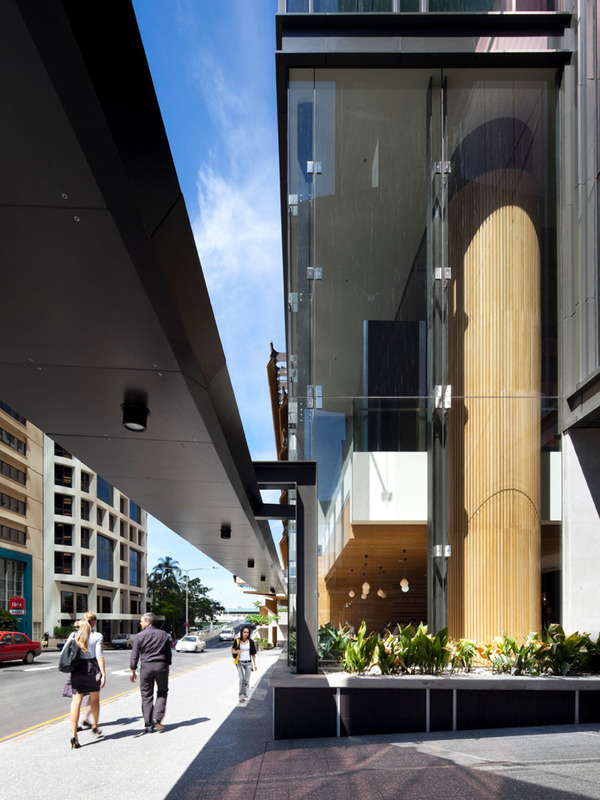 The tower design is an essay in proportions between the base, middle and top, using varied fenestration rhythms to create the effect of an ‘urban lantern’.